A Greek island blog from Symi in the Dodecanese islands of Greece. "James’s great talent lies in his careful observation of the absurd and the amusing, the dramas and the difficulties..." Anne Zouroudi. UPDATE: Due to bad weather, the open meeting with the Consulate on Rhodes Wednesday, has been changed to Friday. 09.30 to 11.00, at the Chamber of Commerce, Rhodes. Everyone welcome. 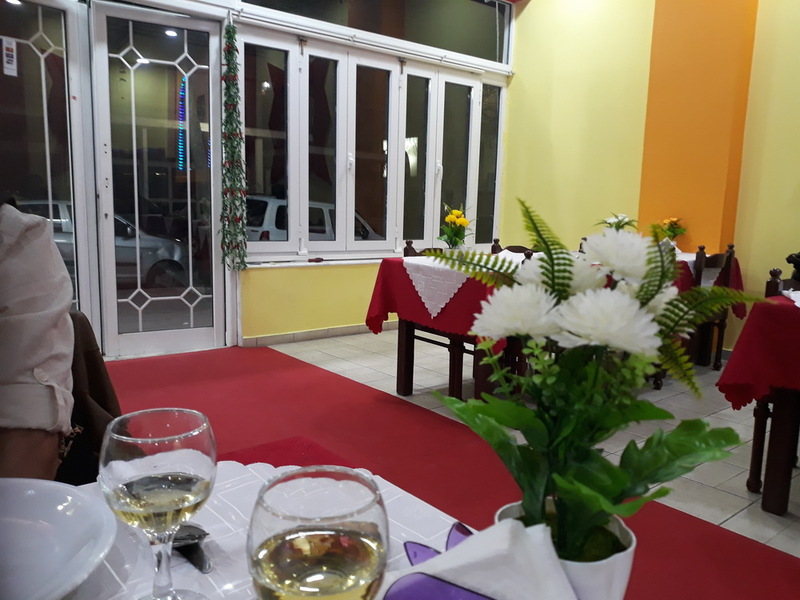 Having arrived in Rhodes, we walked from Akandia harbour around the seafront to the Plaza where we took advantage of their €40.00 per night for a double room offer. It was a good job we had booked as, come Saturday night, the hotel was full. They were catering for a tourism convention, the breakfast room was full in the later morning, and it was more like summer than winter regarding numbers of guests. 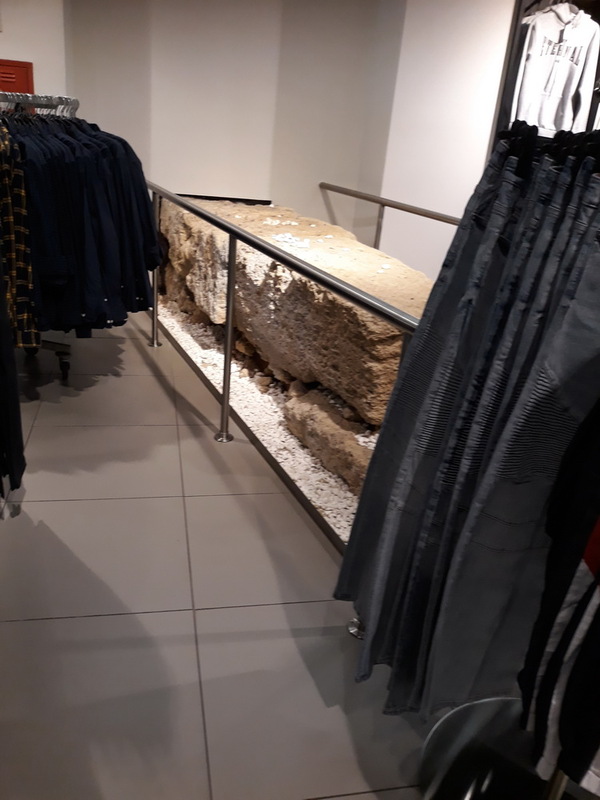 If you’re in H&M, pop down to the men’s department and check out the ancient ruins that run through it. Where else can you see ancient history while you bemoan skinny-fit jeans? I had to sort some paperwork for my Greek driving licence, and my solicitor came to visit us at the hotel, signed a couple of documents and brought the translation she had done for me, total cost €50.00 and it took about ten minutes, most of the time spent in a general catch up chat. After that, it was a day for shopping and looking in the various clothes shops where, unless you are slim-fit or skinny-fit, you don’t stand much of a chance finding suitable trousers, at least, not if you’re a man. Our son calls this design ‘leg condoms’ and I, for one, am looking forward to the day regular fit trousers come back into style. I think the polite term, used at Zara’s among other places, is ‘relaxed fit.’ Why not just call them jeans for normal people and have done with it? You see some horrific style errors as even a normal, non-skinny youth can look like a potato on sticks wearing this allegedly stylish fashion. Mind you, these days, the young men of Rhodes, and elsewhere no doubt, all look the same with skinny jeans, hipster hair and beards. So, fashioned bemoaned and a couple of shirts later (also hard to find ones that are not slim fit), a quick lunch and a walk, and it was back to the hotel for a siesta. That didn’t work out as planned and ended up being an afternoon chat in the bar with various Symi folk over for the day or weekend. We went to the Basmati curry house in the evening. This one has been open a few months now, and I’d never noticed it before. It’s Pakistani rather than Indian, but more or less the same thing except what we had was hot with a capital H and several exclamation marks. I enjoyed it, but Neil found it too spicy, and he’s usually the one who likes his curry hot. I took a couple of photos but hey make the place look empty; it wasn’t. Tomorrow I’ll continue with the weekend catch-up, but I’ll warn you now, it’s more of the same. 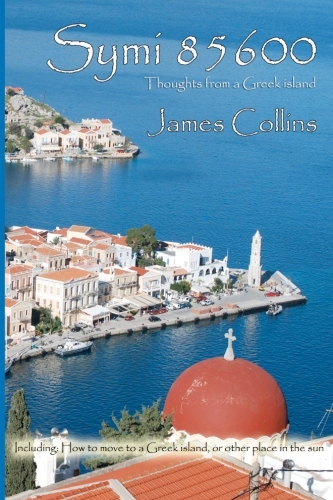 Part memoir, part observation, this scrapbook of anecdotes and witty observations takes us from Romney Marsh to Symi, Greece via all kinds of interesting places, unusual situations, words and nonsense. 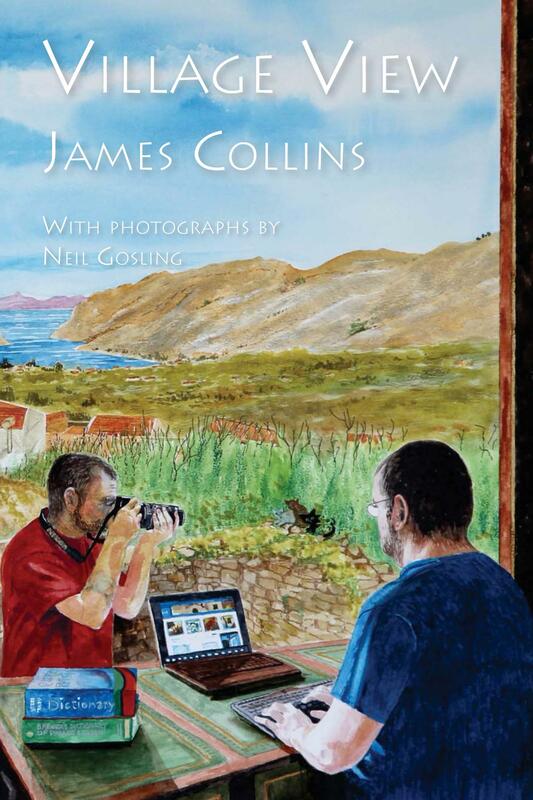 A new mystery thriller by James Collins, set on the mysterious Romney Marshes. Available in paperback and on Kindle. "Meticulously imagined. A wonderfully evocative landscape of mystery." Anne Butler Rowlands. Below is a short trailer for the film based on 'The Judas Inheritance' which was shot on Symi in 2013.